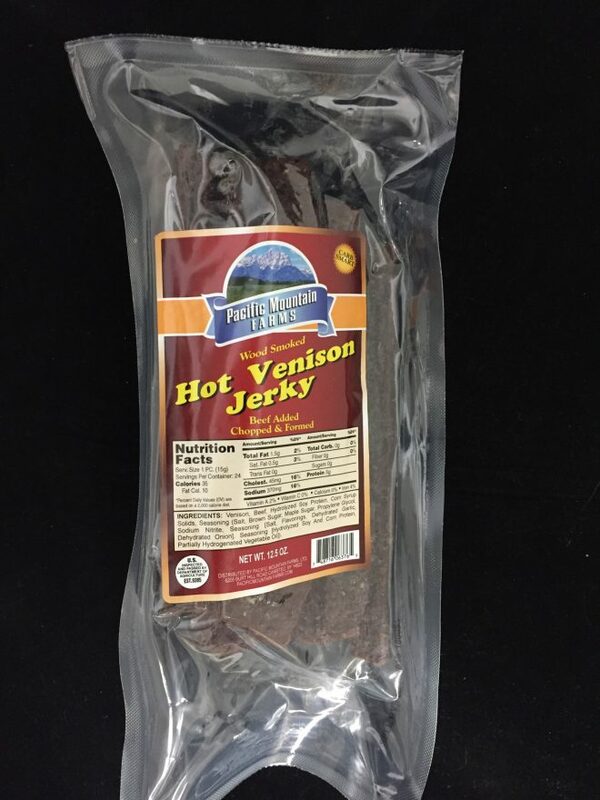 Our Hot Venison Jerky is hickory smoked and made with enough Red Pepper Flakes to give it just the right ZING. This is a crowd favorite, great pared with a cold drink and a Sunday afternoon game! 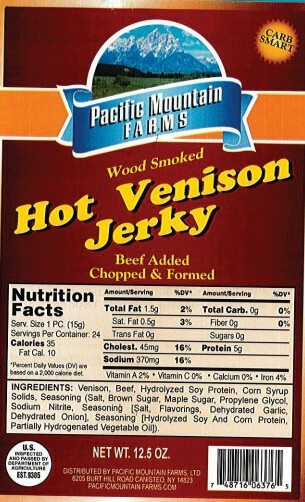 As usual, a protein-rich, low carb snack. Buy two … you’ll be glad you did! !